The Fig Tiramisu With Gingerbread Dust is a delicious dessert that makes for an interesting twist to the traditional dish. It is quick to make and is perfect for cozy get-together and small parties. Traditional Italian tiramisu mascarpone cheese, sponge cake and coffee. In this recipe we have used Hung curd along with mascarpone cheese and it makes a great combination. Ginger cookies are used to add some crunch and flavour to this beautiful dessert. 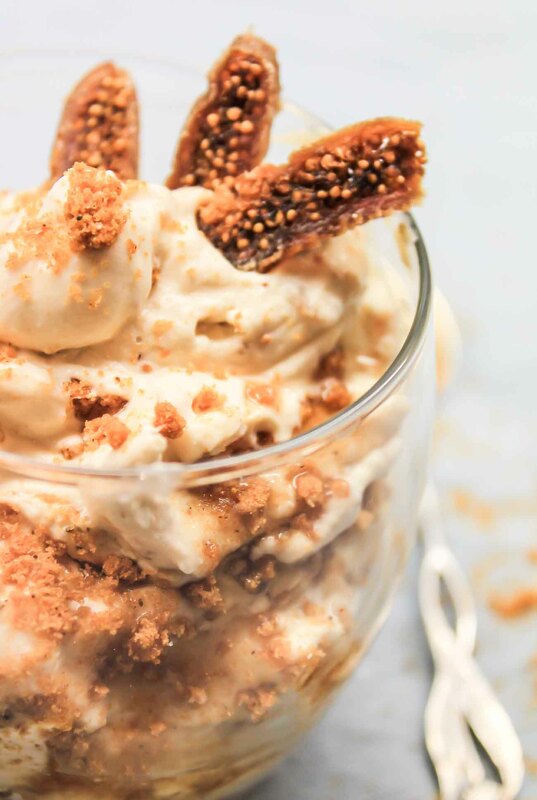 Serve this Fig Tiramisu With Gingerbread Dust as a dessert after a meal of Creamy Spinach Penne Pasta Recipe or Spaghetti Aglio Olio Pasta Recipe with Bacon with Garlic Bread.